5436056 Warrant Officer Class II Frederick George Victor Adams, C. S. M. 5th Bn. 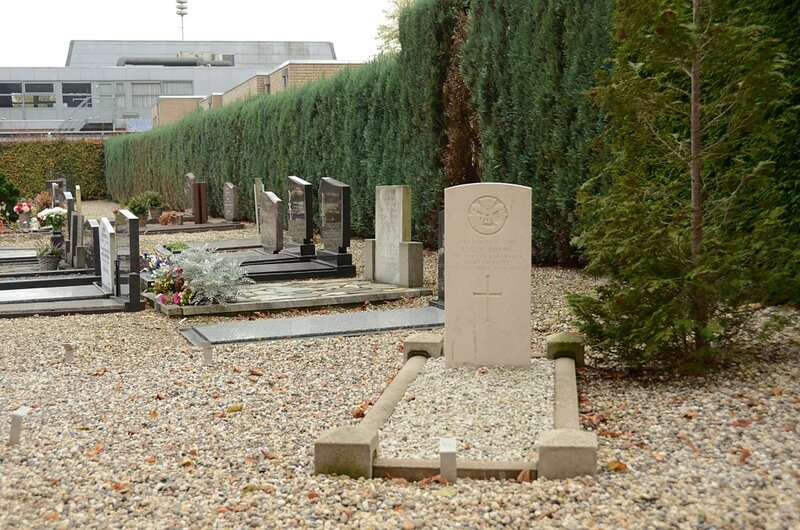 Duke of Cornwall's Light Infantry, died 24th September 1944, aged 33. 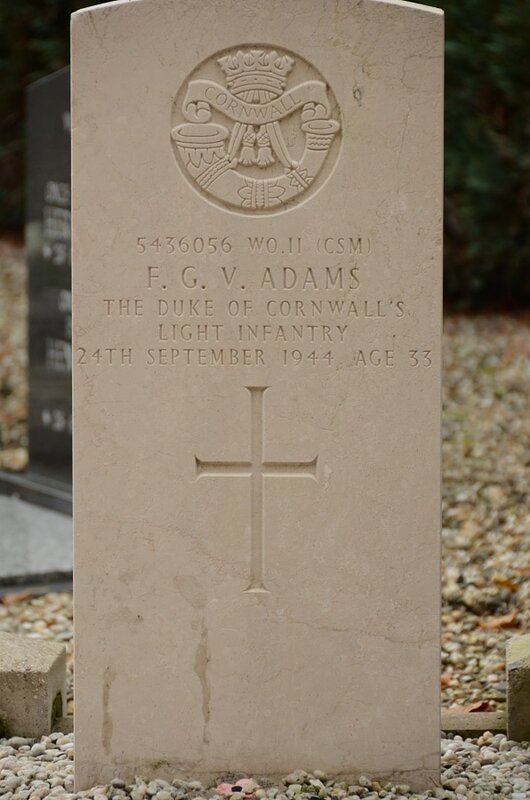 Son of George Victor Adams, and stepson of Florence May Adams, of Newport, Monmouthshire; husband of Agnes Eliza (June) Adams, of Lanivet, Cornwall.